Win a Trip to the Tizen Developer Conference 2014! We have selected our grand prize winner: Kamil Niezrecki! Congratulations to Kamil - We look forward to having him participate at the Tizen Developer Conference next week! As our winner, Kamil will receive complimentary registration to TDC, round trip tickets to San Francisco and a 4 night hotel stay at the Hilton San Francisco Union Square! He’ll also receive a Tizen-based Samsung Gear 2 AND the Intel Nuc included with his registration! Jealous? Don’t be! Enter into our twitter competition to be a candidate at winning a FREE Gear 2 too! Tizen Developers can win an all-expenses paid trip to San Francisco June 2-4th for this year’s Tizen Developer Conference. 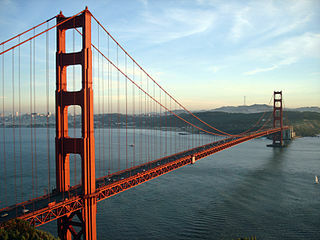 Airfare to and from San Francisco! Submission closing date was: by May 21, 2014 at Midnight PDT. Winner selection details: Winners will be selected at random. A winner will be announced through Social Media channels (Twitter, Facebook, LinkedIn) on May 23rd, 2014 at 12 p.m. PCT. This year's event will be held at the Hilton San Francisco Union Square from June 2-4. The 3rd annual Tizen Developer Conference is a technical conference for Tizen developers, app developers, ISVs, platform designers, operators, OEMs, hardware vendors, software vendors, open source enthusiasts and anyone engaged with Tizen. Tizen development has been primarily focused on mobile and in-vehicle infotainment the past few years, with the developer conference last year focused largely on building our ecosystem and application development around these platforms. Join us at this year’s developer event to explore the new opportunities Tizen is creating in this new era of the Internet of Things.